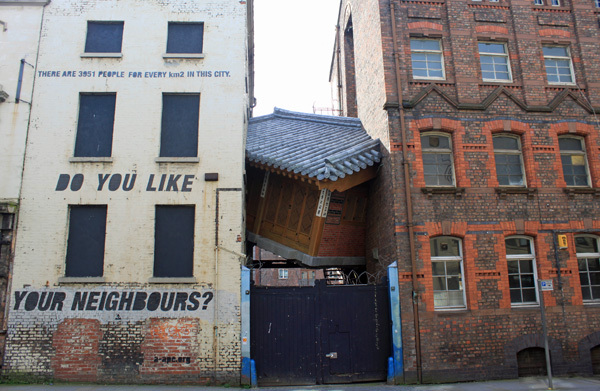 Do Ho Suh’s Between is one of the larger pieces in the Liverpool Biennial 2010. Its on a slightly smaller scale to Rotating Yates’s Wine Lodge Building but only just. I’ve seen quite a few similar photographs to the one above on newspaper websites. I decided to take a closer look because the level of detail in the work is really excellent and deserves to be shown off. 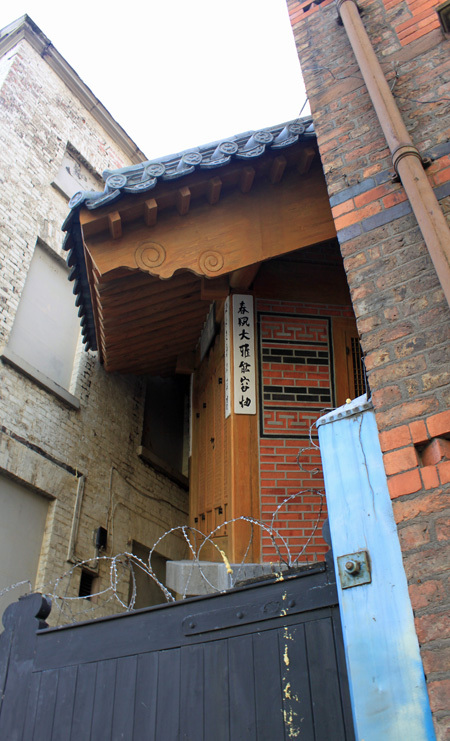 If you want to see it for yourself its at 84–86 Duke Street.